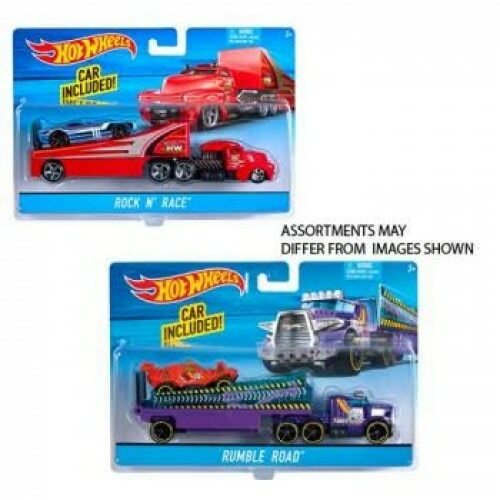 These cool Hot Wheels hauling rigs with car sets deliver inspiring ways to play push around, load and go or hit the track for racing thrills! Each rig comes with a sports car and features big action fun and dynamic detailing. There are many radical rig models to choose from, so pick your favorite then load up and hit the road for new, powerful adventures! Each sold separately, subject to availability. Colors and decorations may vary.